Cree Meadows is a Ruidoso golf facility that is open to the public, offers low local daily fee rates plus has a variety of attractive memberships available. The superbly maintained golf course is both demanding and scenic. This outstanding golf links features narrow tree lined fairways and quick, gently sloped greens. The many mature pines and several holes featuring water in play, are only a few of the noteworthy features found on this course. The signature hole is 17, a 140 yard par 3 requiring a tee shot over water to a small elevated green. The terrain is easy to walk, making it a pleasure for everyone to play the course. Be forewarned that playing conditions are most always challenging for all skill levels, such is the nature of Ruidoso golf. Whether you are looking for a Ruidoso golf course to play while visiting, or a golf course to call home as a member, you have found it! Our 18-hole, regulation golf course continues to be a favorite among local golfers. Since 1947 our course has been a rewarding experience for all golfers and the layout of the course, at just under 6000 yards, makes it ideal for both the recreational and competitive golfer. Load up your clubs and make a quick drive to Cree Meadows. Our golf course is sure to quickly become your favorite while our amenities ranging from a full restaurant to multiple chipping and putting greens along with the best views in Ruidoso will keep you coming back. See you soon! 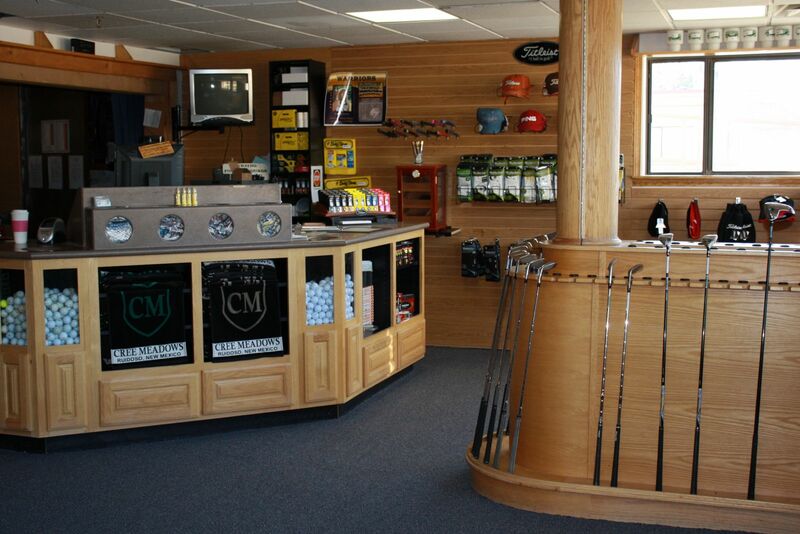 The next time you find yourself at Cree Meadows Country Club, swing by our Pro Shop. Not only will you find your regular Ruidoso golf needs, but you may also find some great gift ideas. Freshen-up your game this year with a new golf shirt or a new driver from our Pro Shop. You will always find a familiar face, and our friendly staff are happy to help you with all your needs. View our up to date rates and conveniently book your tee time online by following the link below. All Fees are subject to NM Gross Receipts tax. Call today to reserve your tee time: 575-257-2733. Each year golfers from Ruidoso and beyond put themselves to the test at Cree Meadows golf course. 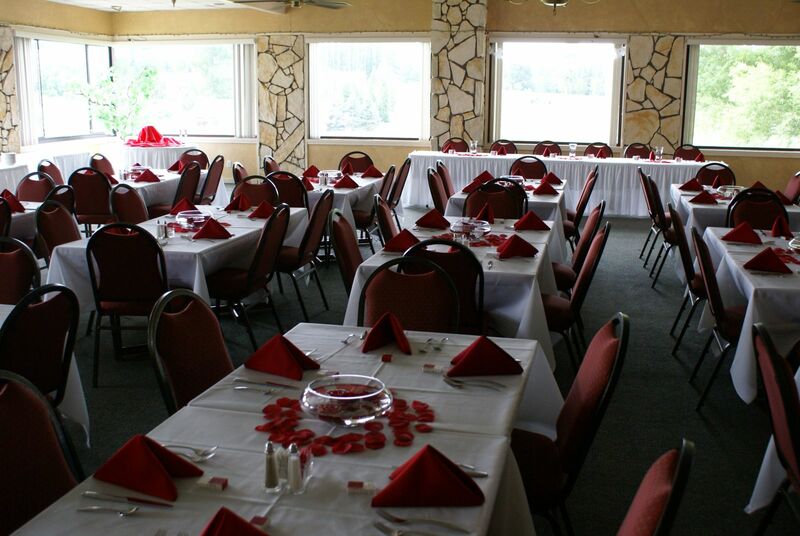 Bring your friends and colleagues to Cree Meadows Country Club and experience it yourself. A Ruidoso golf tournament or group outing makes a wonderful escape from the drudge of the office. Whether to celebrate retirement or to raise funds for your organization, you can't beat a tournament at Cree Meadows. If you can't decide on how to bring your group together for a good time, consider a golf outing at Cree Meadows. The game of golf presents a wonderful way to please everyone who enjoys the beauty of the outdoors and the thrill of competition. Step onto our golf course and step into a fun and relaxing environment the whole family can enjoy. We'd love to cater to your group this year! The great golf and good times your group will have at your golf event will make you want to return to Cree Meadows Country Club each year. The affordable tournament packages make it easy to make it happen. Each year your friends and guests will look forward to your golf tournament. Make Cree Meadows your choice for entertainment this year and we'll make it a grand success! The next time you find yourself at Cree Meadows, swing by our Pro Shop. 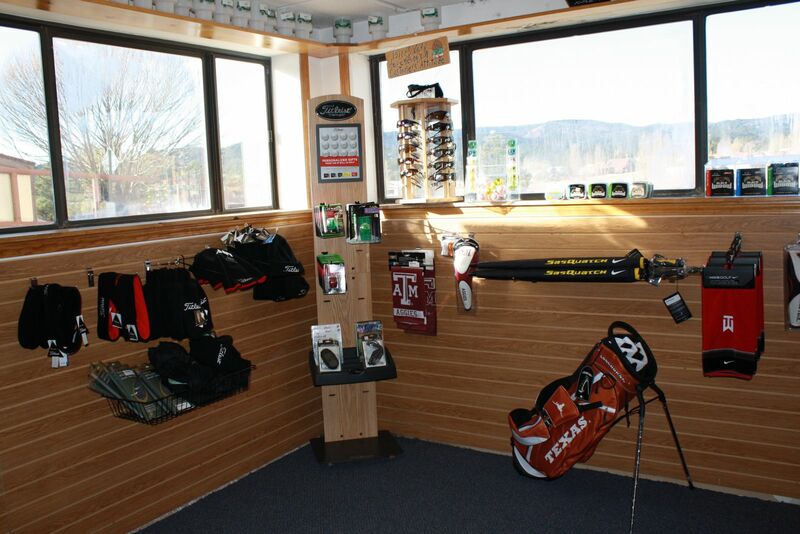 Not only will you find your regular Ruidoso golf needs, but you may also find some great gift ideas. Freshen-up your game this year with a new golf shirt or a new driver from our Pro Shop. You will always find a familiar face, and our friendly staff are happy to help you with all your needs. The indoor swimming pool and accompanying hot tub is always astonishing to newcomers and is available for use by members and their guests. The Oasis style atmosphere is utilized for family fun, personal exercise and relaxation year around, seven days a week. Come out soon to enjoy this magnificent facility. Cree Meadows also features a relaxing dining room with a fantastic panoramic view of the 9th green and fairway with the Sierra Blanca mountain peak in the background. The restaurant serves breakfast and lunch daily and has specialty nights such as Limited Menu Thursday and Catfish Friday. Dancing and musical entertainment including popular bands and DJ karaoke is also part of the specialty nights. 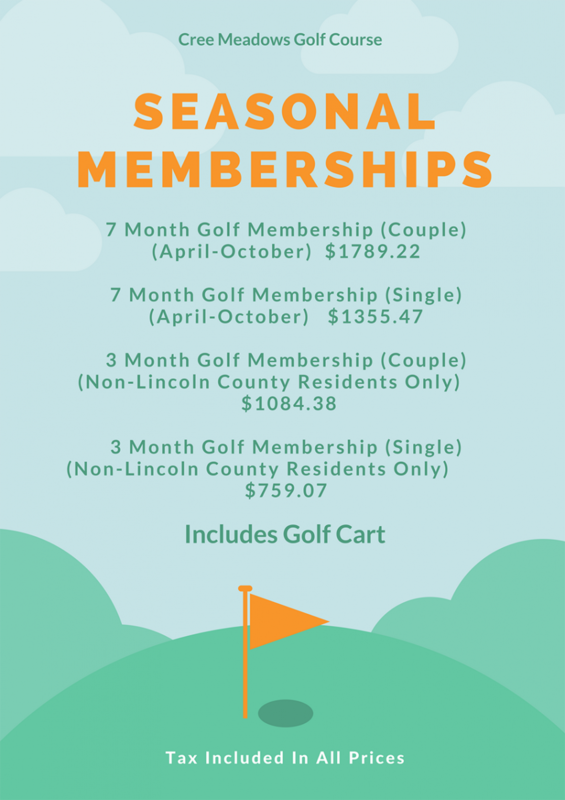 What better way to get your family away from the television and video games than with a membership at Cree Meadows! 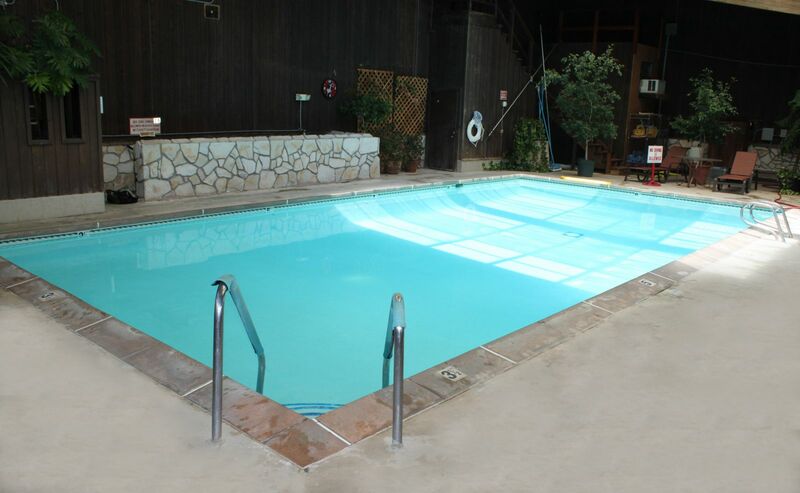 Whether you're all enjoying a game of Ruidoso golf and our beautiful mild winter weather, or a nice warm swim in our heated pool, you'll be glad you got them off the couch. 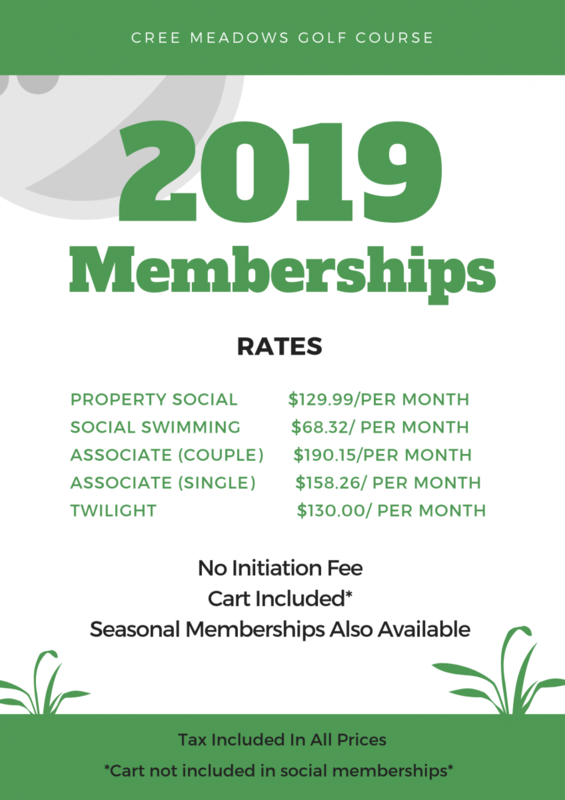 With family memberships starting as low as $120 per month for twilight, family time has never been easier or more affordable. Enjoy the best in golf, the picturesque New Mexico landscapes, great dining, and more as a member of Cree Meadows. Call (575)257-2733 ext. 4 for more information.